With about a week to go until Fuji Rock 2017 officially gets underway, soon-to-be punters are probably staring at the three-day schedule trying to figure out how they are going to approach this whole affair. While you debate the merits of seeing Aphex Twin vs. Quruli, you should also save some space to see some of the domestic gems playing smaller stages…like, off-the-beaten-path stages (with Rookie-A-Go-Go ignored, you should make time to swing by there anyway)…while you are out in Naeba. We are here to help, and here are five acts to pencil in to your itinerary this year. What a better way to start Fuji Rock 2017 than with a rocker who has already proven her chops at the fest before? Rei played the Gypsy Avalon stage two years ago, delivering a very good (and surprisingly dark!) in the early afternoon of the kick-off day. Since then, she’s released a series of albums and EPs, highlighted by the horn-assisted number “Tumblin'” (below). Her lyrics might not put you in the most upbeat mood at noon on a Friday, but the music will get your body moving for a long weekend. 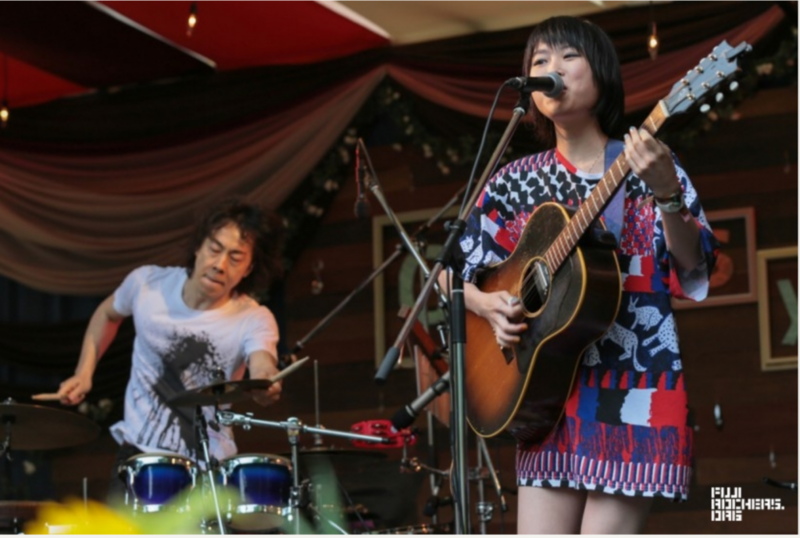 Emerging from Tokyo’s indie-rock scene after years of generating a lot of buzz, breezy band Skirt play Fuji Rock for the first time just as Friday’s all-night festivities get underway. They’ve been together since around 2010, slowly building up buzz first around Japan’s capital and then reaching a point where they could play shows across the country. The focus falls on the vocals, which deliver emotional heft over more relaxing numbers. Listen to last year’s “Call” below. Few bands at Fuji Rock 2017 will be as enjoyably goofy as Tempalay. The three-piece landed on many folk’s radar…and ended up playing in Austin, Texas, as part of the South By Souwthwest Music Festival And Conference…thanks to a silly, Mac-DeMarco-indebted psych-rock sound that infused their numbers with a shambling charm. They’ve gotten a little more focused since, but even their most earnest numbers carry some silly points. Check out one of their trippier songs and videos below. Yes, an early-morning gondola ride up to Day Dreaming And Silent Breeze on Sunday might not look like the most attractive option for your Fuji Rock stay, but think about it as detox for the day ahead. Mainly because producer / DJ Licaxxx is bound to play a smooth, laid-back set of dance tunes for the early-rising set, and it will surely help you recover from whatever shenanigans you got up to the night before. The biggest name gracing one of the smaller stages this year, in our humble opinion. The lead singer of Asian Kung-Fu Generation last played the Red Marquee a few years back, and this year is set to take it a little easier at Mokudo Tei. If you want an intimate performance from a dude with a lot of sway, make sure to hustle over here mid-day Sunday.